The first place winning CornHacks team, Ad-Free Spotify. Members from left to right: Christian Young, Trevor Fellbaum, Edmon Adams, and Alec Schneider. 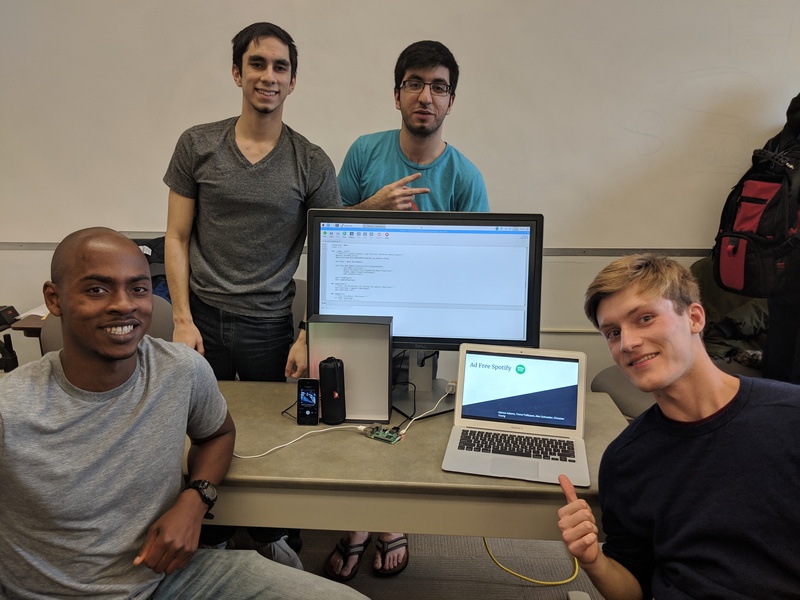 The Computer Science and Engineering Student Advisory Board hosted its second annual CornHacks hackathon last month. Twenty-four teams of students competed in the event by creating projects in a two-day weekend. The three top teams earned prizes for their projects, which were judged by a panel of student event organizers and industry sponsors.